The second phase of the project was located at four different Wildlife Management Areas in the southern half of the state. 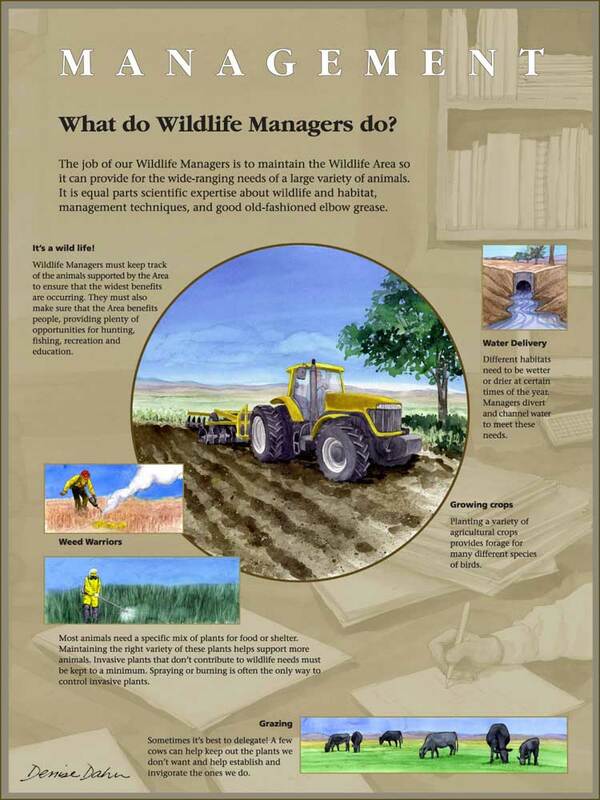 The WMAs are located near wetlands – either lakes, ponds, rivers or springs. 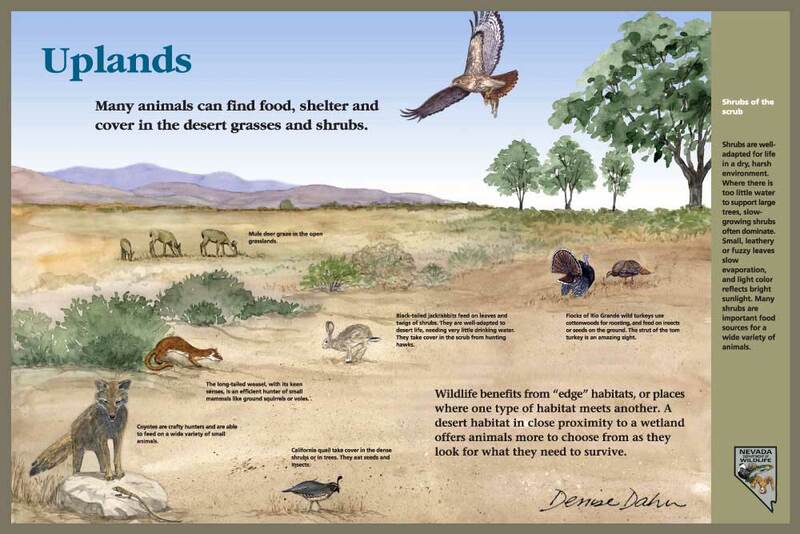 In the desert, water is key to wildlife habitat. 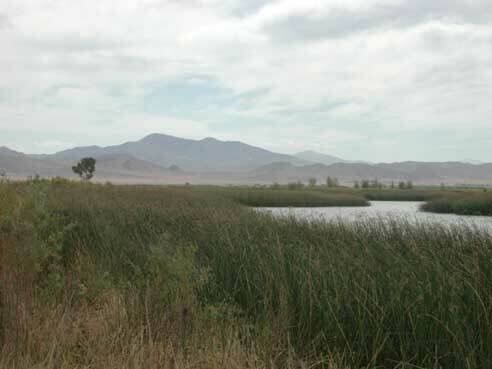 This is Mason Wildlife Management Area - a series of linked wetlands in the Walker River Watershed. The surrounding landscape is desert or irrigated agricultural land. The wetlands attract huge numbers of migrating birds. 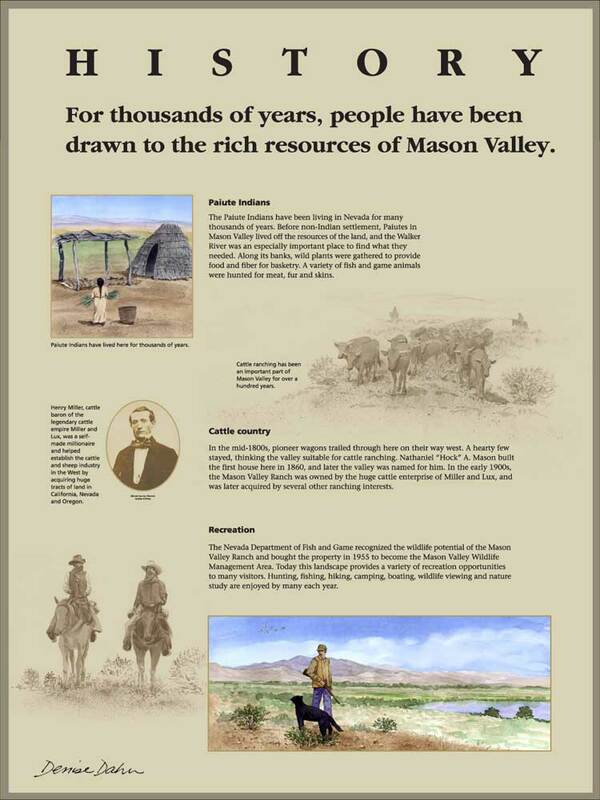 Mason Wildlife Management Area was the site of several kiosks an a number of podium-style interpretive signs. 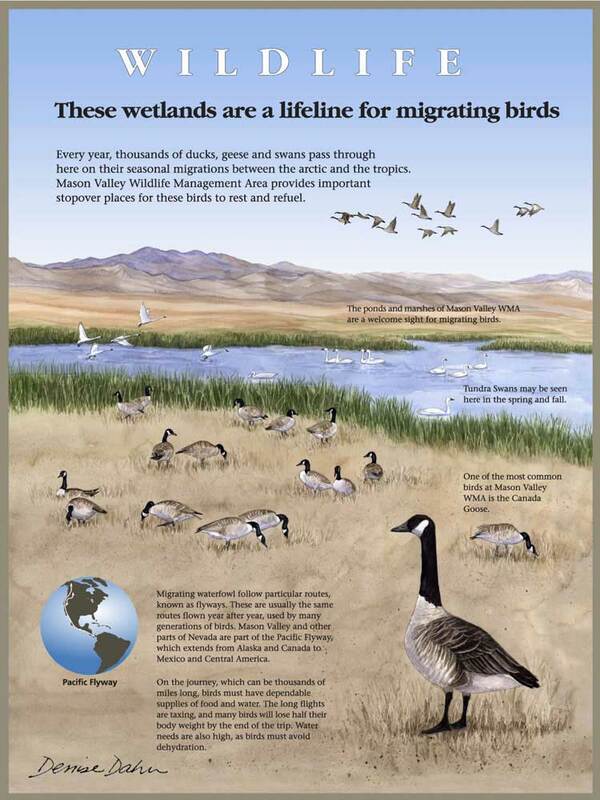 Mason WMA is a haven for migrating geese. There are lots of animals that are adapted to dry conditions. Having water nearby is a bonus. This sign was installed with 3 others in a roofed kiosk. It interprets some history topics. A sign in the kiosk that interprets what the WMA managers do. An aerial view of the Truckee River's route through the Reno Area. 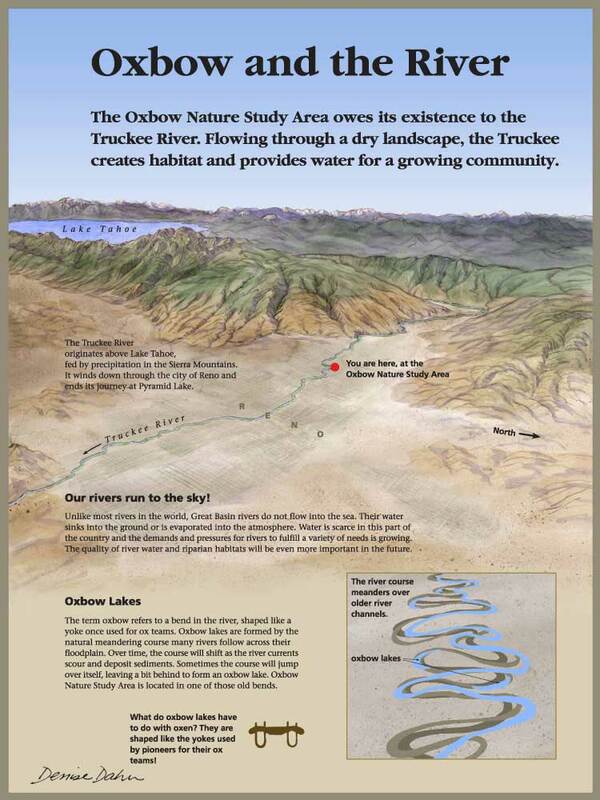 This sign is one of a series located in a kiosk at the Oxbow Nature Area in Reno.